Tell us a little about your vision into Sales Technology. What drives you as a CEO of a Sales Technology company? Well, before co-founding Full Circle, I was a Marketing VP and executive at a number of software companies in the Silicon Valley. In the rise of data-driven marketing, I saw no way for marketers, including myself, to clearly understand how their campaigns are performing and impacting revenue. It seemed like someone would need a Ph.D. in statistics to accurately collect and understand the data. So, we set out to build a suite of intuitive performance management products that give Marketing and Sales the insight they need to drive revenue. Is it possible to do Sales without a strong CRM system? How has the CRM technology changed the Sales Industry? Yes, a strong CRM system is essential to Sales and, therefore, essential to growth. A CRM is the hub of all prospect and customer data and in a buyer landscape that demands personalization, having records of Sales interactions is invaluable. CRM changed the Sales function by creating a single common source of Sales information within any given organization. With good data in a CRM, Sales teams are able to be agile and responsive, but also proactive. Innovations like Salesforce Einstein will continue to revolutionize the space. How do you perceive differences between MarTech and SalesTech? How do you design a CRM that maintains that difference even when it is a unified product? MarTech is focused on one-to-many communications with prospects and customers through a variety of online and offline channels. SalesTech is focused on optimizing and scaling one-to-one, account specific communications. Today’s SalesTech solutions allow a single seller to more quickly and efficiently influence and engage with all the members of a large buying team at an enterprise account than ever before. However, quality communication generated by both MarTech or SalesTech is dependent on there being a well-designed integration with CRM, and the CRM having accurate and timely data about its prospects and customers. It is hard to pick one of these values as more important because they have a great impact on each other. Our goal from the beginning has been to build an amazing product that helps our customers become wildly successful. How can we make our customers happy without first providing them with a valuable product? To explicitly answer your question, I would have to go with customer satisfaction as most important. We would have no company without happy, satisfied customers who use our product to further their careers and demonstrate the value of their work. But then again, there would be no happy customers if we did not focus on creating the best product possible. How can the Sales Industry best leverage Full Circle Insights’ products? Full Circle Insights’ flagship product is Response Management which, among other things, offers key funnel metrics on the buyer journey. By using funnel data like velocity and conversion rates, Sales teams can optimize their work off of hard data, and not assumptions. For example, suppose everyone assumes that someone who downloads a trial of your product is the best kind of lead and most likely to convert, so a sales rep always calls this person. Logically, that makes sense. But with Full Circle data, Sales leaders would be able to validate or debunk that belief. Velocity data will show how quickly that lead moves through the funnel and whether or not that lead ultimately converts, helping you understand what contributes to your bottom line. Even more, insights can be gained from comparing velocity and conversion data. In this same example, it is possible that trial downloads yield a high volume of new leads but low conversion rates. Full Circle shows you this valuable knowledge, allowing you to optimize your best tactic for interacting with prospective buyers — or in this case, to hold off a call until the buyer presents a better indicator for purchase. The team at Fuze did amazing things with our products. Fuze, which had quadrupled in size in one year, needed to scale sales and marketing to support their immense growth. To do so, marketing needed to understand how their work impacted revenue and reliable reporting to demonstrate that. Sales had a huge lead queue and required accurate tracking of their lead lifecycle. They chose Full Circle because we are the only solution 100% native to Salesforce providing performance reporting and lead tracking with the ability to show marketing contribution to sales pipeline. After they implemented Full Circle, they were able to demonstrate a 6x increase in marketing contribution to sales pipeline in two quarters, accurately measure BDR performance, and empower and inform their shift to ABM. Most notably, with the new foundation of reporting from Full Circle, Fuze oriented to scaling growth and won the SiriusDecisions award for Return on Integration award for Demand Creation. Stories like this are why we do what we do and we are so proud to have played a part in Fuze’s success. Could you name some tools that Sales products/CRM of Full Circle Insights can integrate with? Full Circle products are built in Salesforce, 100% native to the platform. Some products we integrate with include Marketing Automation systems such as Marketo, Pardot, Eloqua, and HubSpot. Those different Marketing Automation solutions feed responses to Salesforce campaigns and Full Circle Insights manages the rest. 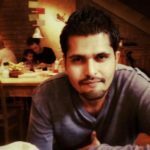 What advise you have for other MarTech and SalesTech companies about infusing AI with Sales Technology? The first step is to make sure your product can leverage the AI functioning of the tech stack you integrate with. Many companies don’t have the resources to develop their own AI technology, but that doesn’t mean they should ignore AI altogether. For example, Salesforce Einstein is a breakthrough AI for CRM solution that can help sales professionals understand customer needs to an unprecedented degree, provide support teams with the tools to solve customer problems before they are even aware of a pain point and allow marketing to deliver highly personalized customer experience. If your product is built on Salesforce, then you have an amazing opportunity to leverage this AI. However, this brings more importance to acquiring and maintaining the most complete and accurate data you can. After all, whether it is a human or an AI algorithm trying to find insights from raw data, flawed data will lead to incorrect conclusions that could negatively affect the business as a whole. I see Full Circle as a perfect fit for this space because we provide high-quality data that powers high-quality AI. Is AI the future of Sales Technology? The leaps and bounds of progress AI have made is impossible to ignore. Again, Salesforce Einstein is a spectacular innovation and there are many other companies doing equally exciting things. AI has the potential revolutionize selling but I worry about jumping into AI too fast because it needs to be built on a solid data foundation. What apps/tools that you use in your Sales gigs? One of my favorite applications is DocuSign. It’s so helpful for both business and personal work. I love being anywhere and being able to approve an important transaction. If not into Sales Technology, which other industry would you have picked as a career? Biotech! There are so many diseases in the world and so many very cool technologies that can help us address them. Thank You, Bonnie, for answering all our questions. We hope to see you again, soon. At Full Circle Insights, we believe you shouldn’t need a Ph.D. in statistics to understand what’s happening with your marketing campaigns. In fact, it should be easy for you to get the answers you need to plan with confidence and grow revenue for your company. That’s why our team of former Salesforce executives, product managers, and marketing automation specialists designed and built our products to deliver reliable marketing data inside Salesforce and be compatible with the leading marketing automation solutions. So join our customers in a marketing data revolution and get the information you need to succeed. See how your campaigns influence pipeline and revenue, get complete funnel metrics across sales and marketing, and ensure your marketing data is rock solid today. 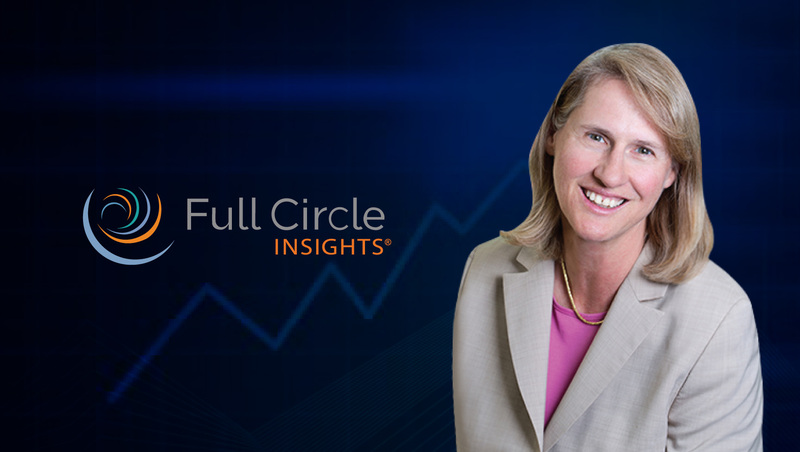 Prior to joining Full Circle Insights, Bonnie Crater was a five-time vice president of marketing in Silicon Valley.